(GIM) professor Samveg Patel is one among 19600 professionals worldwide who has successfully completed all three levels of the most respected and recognized investment management qualification Chartered Financial Analyst (CFA) program offered by CFA Institute (USA), the global association of investment management professionals. The CFA charter is the highest distinction which can be held in the investment management profession. CFA exams are said to attract around 1,80,000 people from around the globe with a large chunk of examinees failing the first round of testing. Since the start of the program back in 1963, some 150,000 have been accredited as CFA ‘charterholders’ having successfully completed the three levels of testing and have met the professional work experience requirement of having at least four years of professional work experience related to investment industry. The charter gives a strong understanding of advanced investment analysis and real-world portfolio management skills. CFA Institute sets the ethical benchmark for investment professionals around the globe which is known as the Code of Ethics and Standards of Professional Conduct (Code and Standards). The CFA Program is divided into three levels of exams (Level I, II and III). 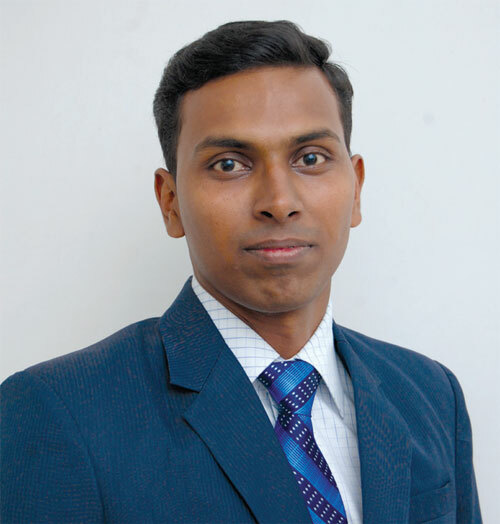 An engineering graduate with ten years of academic and two years of corporate experience, Assistant Professor of Finance at GIM, Samveg Patel is now eligible to earn the CFA charter and become a member of the prestigious CFA Institute. The June Level I, II, and III exams were administered in 285 test centers in 185 cities worldwide.